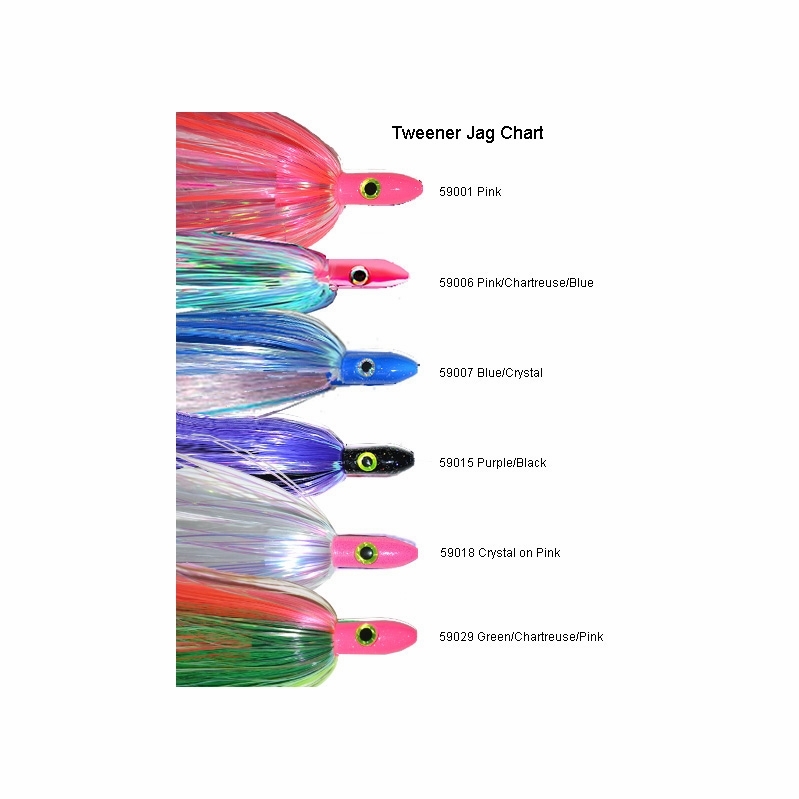 The Blue Water Candy Jag skirts are available in three sizes, Mini (3/4 oz), Tweener (1 3/4 oz), and the Bullet (3 1/2 oz). 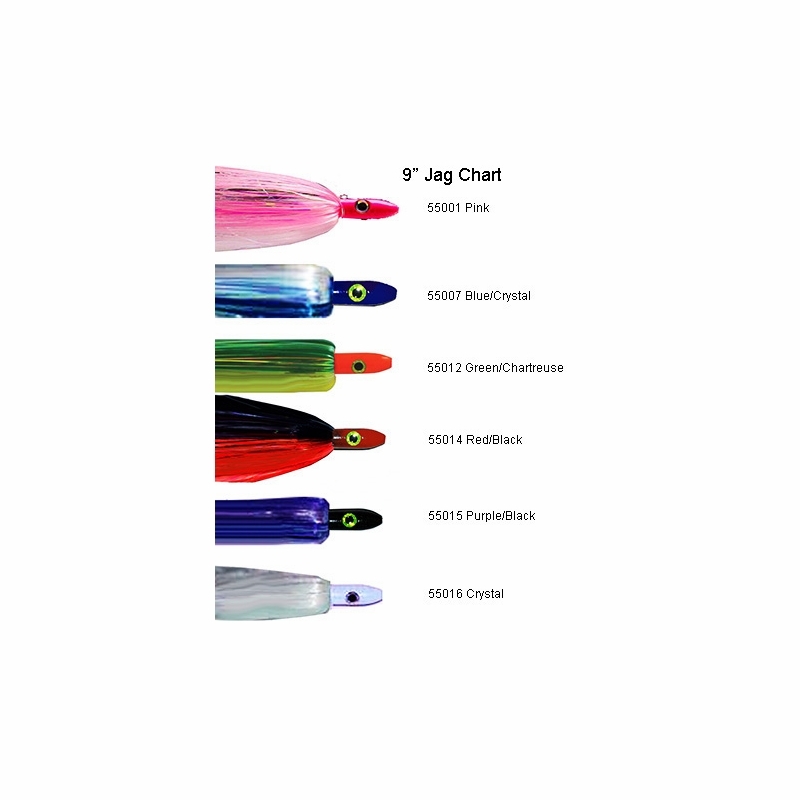 The Jag lures are perfect for accenting a rigged ballyhoo that will track true and upright within your trolling spread. The Bullets have long been known for their effectiveness on large bluefin and wahoo, while the smaller sizes are deadly on just about anything that swims, from dolphin to billfish. Quality product by BWC as always. Looks great underwater. These rigs are so much easier than making your own, trust me i have tried and it is a pain. I have good luck using these either as a daisy chain or just by itself accompanied by a ballyhoo. Love BWC lures. 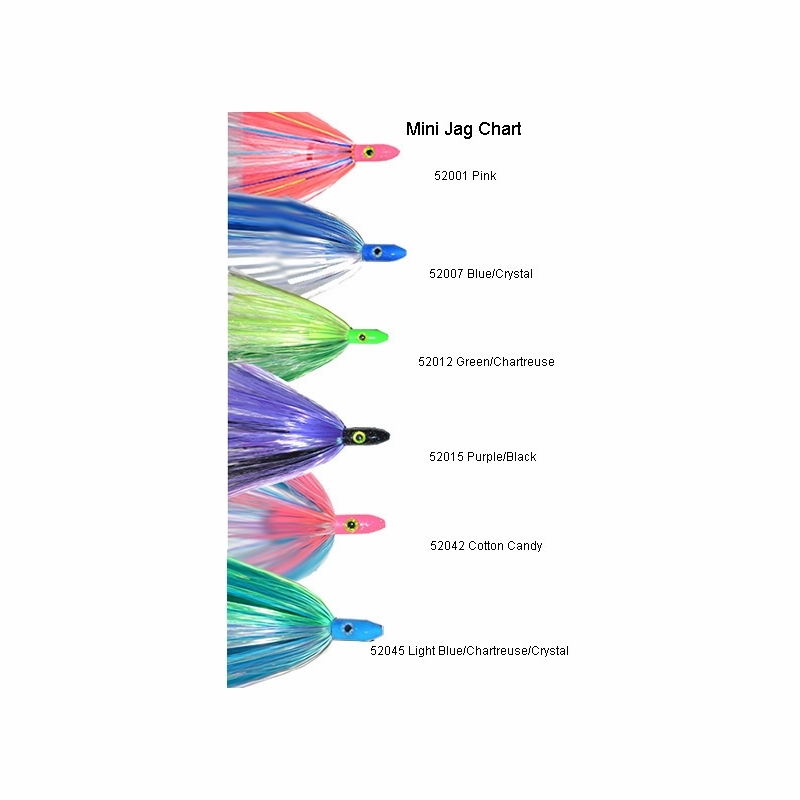 Great ocean trolling lures especially with a trailer on the hook. 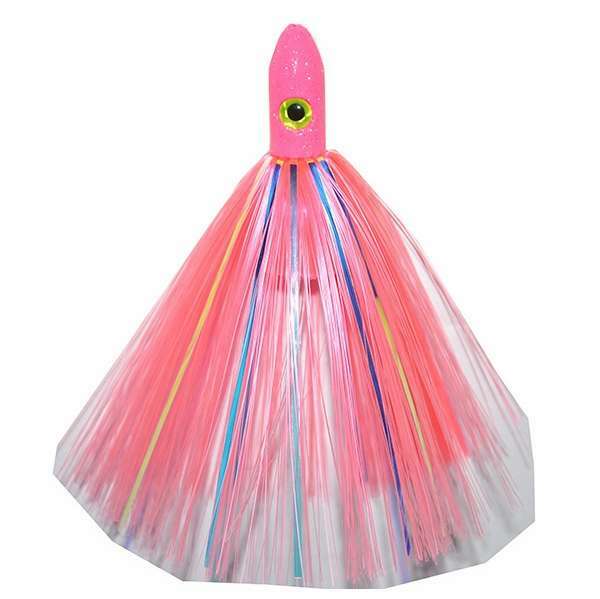 These lures look great, produce well, and hold up to harsh environment. One of my favorite lure companies. These lures have some great colors and mylar strips.